Located in western Washington state, West Tiger Mountain Natural Resources Conservation Area (NRCA) is about 35 miles east of the city of Seattle. The area is part of a chain of Cascade Mountain Range foothills known locally as the “Issaquah Alps,” which includes Tiger, Squak and Cougar Mountains. West Tiger Mountain NRCA encompasses 4,430 acres that range in elevation from 470 feet above sea level at Tradition Plateau to 2, 948 feet at the summit of West Tiger Peak 1, the highest of three peaks within the natural area. Glaciers shaped this unique terrain at West Tiger Mountain NRCA including talus rock caves among the largest in Washington, steep mountainsides, and summit rock outcrops. The summit ridge connects three mountain peaks and supports sensitive meadow plant communities. Cliffs at Yah-er Wall are unstable and highly erodible, yet they sustain a high quality Douglas-fir-Pacific madrone/salal plant community that is rare to the western Cascades. Forests of variable age and composition are prevalent across the NRCA. At the eastern limits of the Sitka spruce range, individuals occur on wet sites across Tradition Plateau. Nearby, hundred- year-old western red cedar stands have an old-growth forest structure despite the relatively young age. Actual old-growth stands more than 200-years old are found at higher elevations and consist of Douglas-fir, western redcedar, and western hemlock. The forest habitat is important for wildlife species such as cougar, bobcat, elk, and pygmy owl. Sedge meadows and wetlands encircle 16-acre Tradition Lake and two-acre Round Lake. Both lakes serve as stopovers for migratory birds, while Tradition Lake also accommodates resident waterfowl. Near Round Lake, forested wetlands contain Oregon ash and black cottonwood. Within the conservation area, the primary stream systems are the East Fork Issaquah Creek, High Point Creek, and the streams of Many Creek Valley. Streams travel through steep ravines and support salmon populations in streams in the less steep areas. Thickly vegetated riparian (streamside) areas are covered by salmonberry, devil’s club, and several other plant species. The West Tiger Mountain NRCA Management Plan provides detailed information about natural resources present within the NRCA and appropriate use of the site. West Tiger Mountain NRCA was established in 1989. The City of Issaquah owns most of the Tradition Plateau that is adjacent to the NRCA. The city co-manages the land with the Natural Areas Program at the Washington State Department of Natural Resources (DNR). Features protected: Old-growth Douglas-fir forests, talus caves, lakes, streams, forested wetlands, a dry-site vegetation mosaic dominated by Pacific madrone, scenic landscapes and habitat that supporting a variety of wildlife. Blacktail deer, cougar, bobcats, black bear, coyote, elk, red-tailed hawks, osprey, barred owls, pygmy owls and pileated woodpeckers have been observed. Waterfowl, including mallard, gadwall, ruddy, and wood ducks, feed and nest along the lakes. 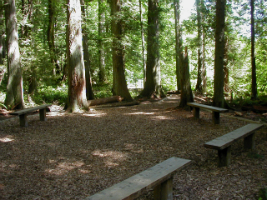 The West Tiger Mountain NRCA is an excellent outdoor classroom with an education shelter, interpretive displays and accessible trails. The NRCA is convenient and accessible to many school communities in the Puget Sound region. The area has 41 miles of designated trails, of which about 34 are hiking trails. The High Point Trailhead provides the primary access point for the West Tiger Mountain Natural Resources Conservation Area and provides opportunities for hiking, environmental education. Trailhead features an accessible interpretive loop. 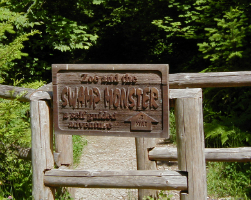 For information, contact the South Puget Sound Region Natural Areas Manager, listed here. Green Trails maps provide detailed information about trails in the West Tiger Mountain NRCA. Garbage service is not provided. Pack out what you pack in. 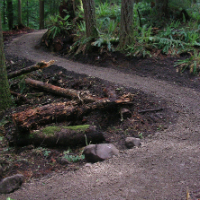 In 2008, DNR partnered with Mountains to Sound Greenway Trust (Greenway) to completely renovate the West Tiger Three Trail. Decades of hiking were beginning to take its toll on the popular trail, with erosion damaging natural resources. The Greenway, in cooperation with volunteers, completely renovated the trail creating a safer and more enjoyable hiking experience. Drive east on I-90 past Bellevue. Just past Issaquah, take exit 20. Turn right on 270th Ave SE. Turn right on SE 79th Street. Drive through the gate, onto the gravel road and into the parking lot. Trailhead Direct: From Aug. 5 though October of fall 2017, you can also ride #TrailheadDirect, a new King County Parks and King County Metro Transit pilot project that accesses more than 150 miles of Issaquah-area hiking trails, including those on West Tiger Mountain. Learn more.